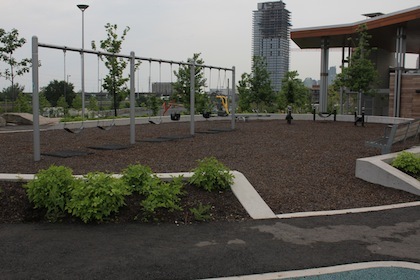 Toronto is going through some major upgrades right now and Fieldgate Homes is right in the centre of it! 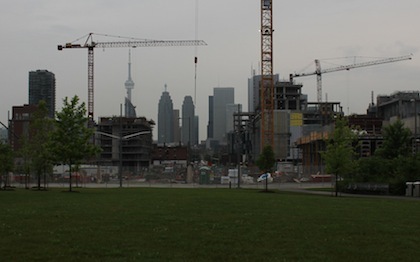 Our first downtown development, Corktown Mews, is situated in a perfect spot to take advantage of the changes coming to downtown as a result of Waterfront Toronto’s revitalization project. 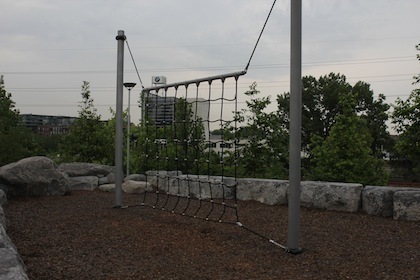 One of the first major unveilings of the project came on June 27 when the city opened Corktown Common, the newly renovated park formerly known as the West Donlands. 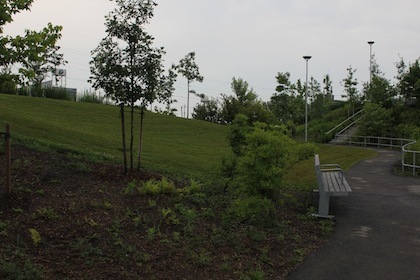 Corktown Common is a 5 minute walk south of Corktown Mews. 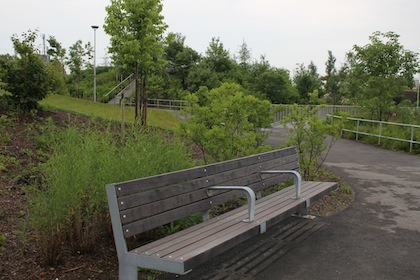 The 18 acre park is the largest in the area and provides a scenic spot to relax with the family, have a picnic, or relax on a beautiful summer afternoon. 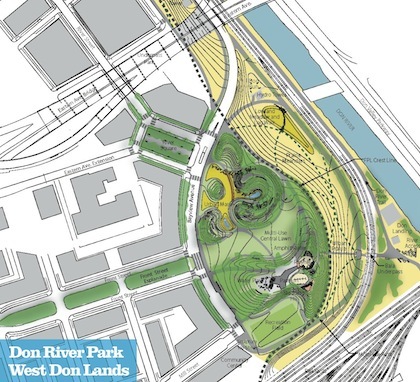 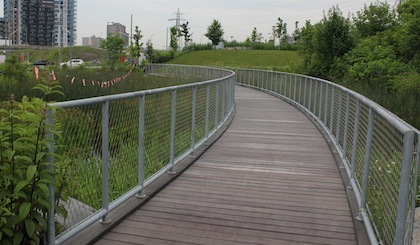 The new park is designed by Michael Van Valkenburgh Associates (MVVA), the agency that is working on projects like Brooklyn Bridge Park in New York City, Maggie Daley Park in Chicago, and York Quay, another Waterfront Toronto undertaking. 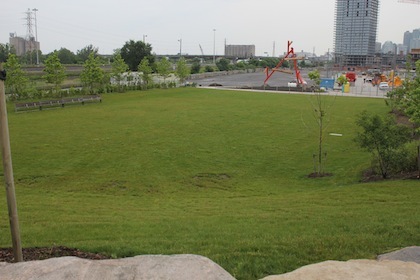 When designing Corktown Common, MVVA employed public consultation to make sure that the new park will have elements that satisfy the needs of the community. 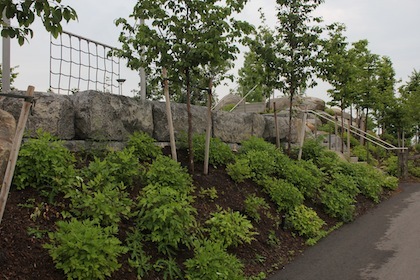 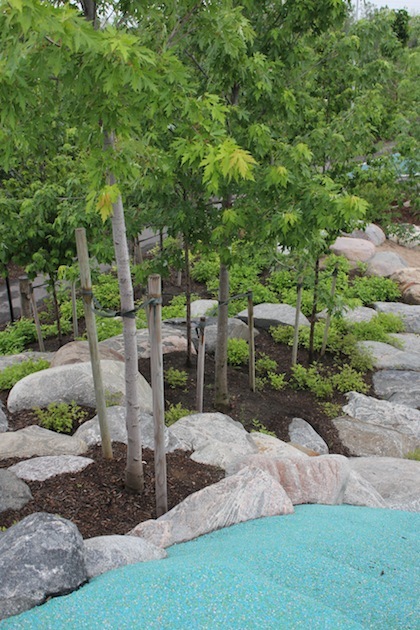 With over 700 trees planted in the park that have been growing for over a year now, this park is developing into an outdoor oasis located just outside the heart of Toronto. 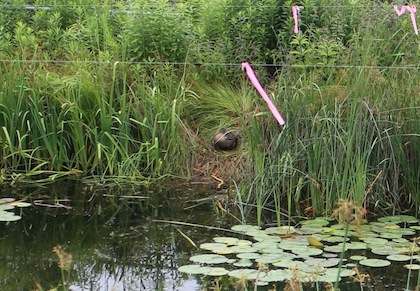 There is also a marsh that will provide a rich ecological space with many animals populating the area. 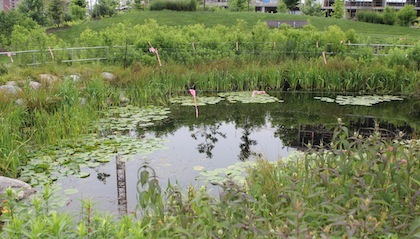 There are already birds, frogs, and ducks that call Corktown Common’s marsh home. 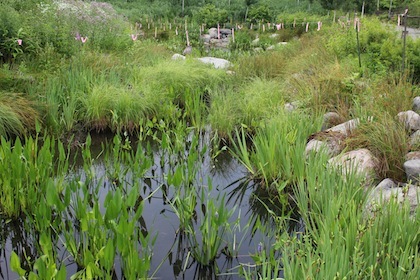 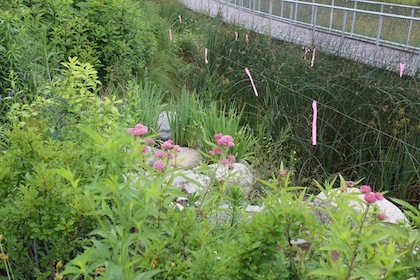 The marsh is also an important part of the stormwater management system. 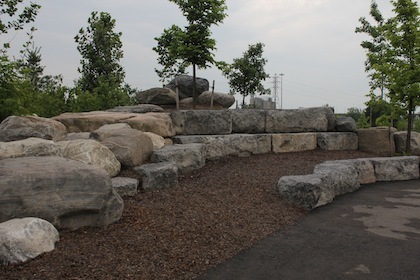 The park is currently only half complete. 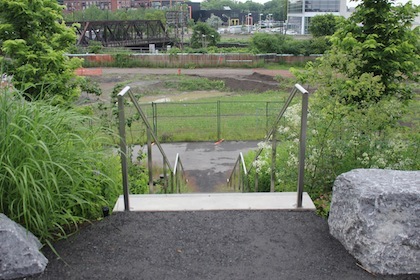 The next phase of Corktown Common will be the lower half, designed to protect the city in case the Don River ever floods. 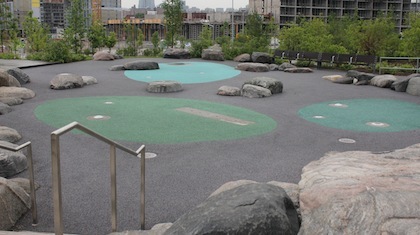 The park also has play areas for the kids, and a small waterpark for the really hot days (which wasn’t operational when we took a trip to the park). 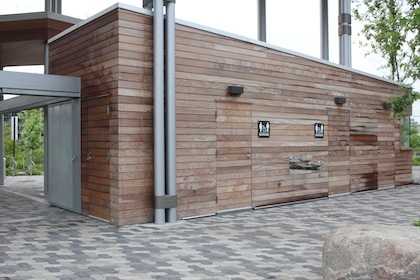 Spending the day at Corktown Common is made easier with the small recreation center and washrooms located by the children’s area. 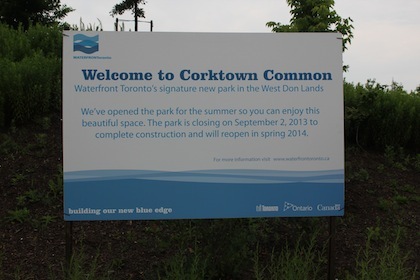 Corktown Common is one of the earliest steps in a long process of redevelopment initiatives set to take place within the Corktown Mews area and we can’t wait to see all of the improvements. 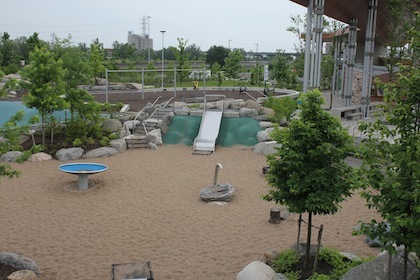 Have you visited Corktown Common yet? 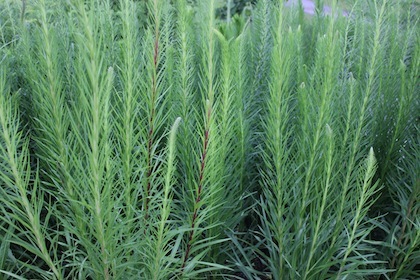 Let us know on Twitter, Facebook, or in the comments section.